From the galleries at Warhammer World. 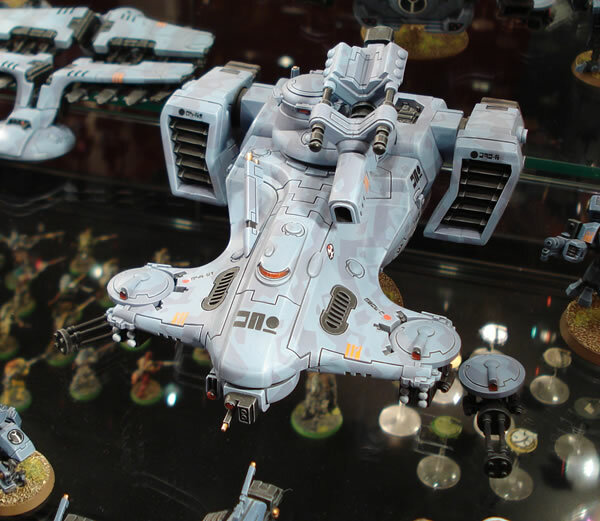 The Hammerhead gunship is the main battle tank of the Tau army. Most of the space within the tank is taken up by capacitors for its weapon systems, and thus it cannot carry troops. During the Damocles Crusade, many Imperial tank crews learned the hard way how deadly its main weapons can be.